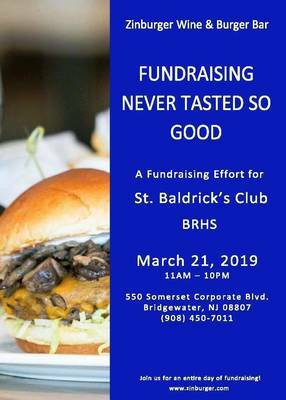 The Bridgewater-Raritan High School St. Baldrick's Club is holding a fundraiser at Zinburger Wine & Burger Bar, on Somerset Corporate Boulevard March 21 from 11 a.m. to 10 p.m. The restaurant will be donating 20 percent of the food sales when the flyer is presented for the benefit day. You may also show the flyer on your phone: via Facebook, Twitter or Email. Winter Break Camp - February 18-22, 2019. 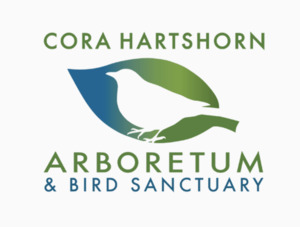 For beginners and those with some experience, this birding-by-ear workshop series will improve your bird identification skills. More often than not, birds are heard before they are seen (if seen at all!) Learning their songs will add another dimension to your birdwatching. 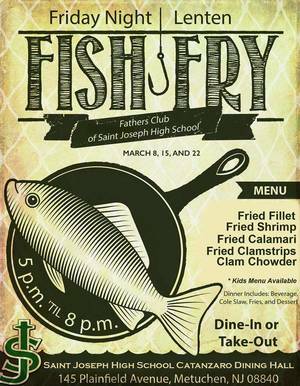 The Saint Joseph High School Fathers Club will host its annual Lenten Fish Fry on March 8, 15, and 22 from 5 to 8 p.m.
BERKELEY HEIGHTS, NJ - The VFW Post 6259 is hosting a community dinner on Friday March 22 at 6 p.m. at 15 Locust Avenue in Berkeley Heights. 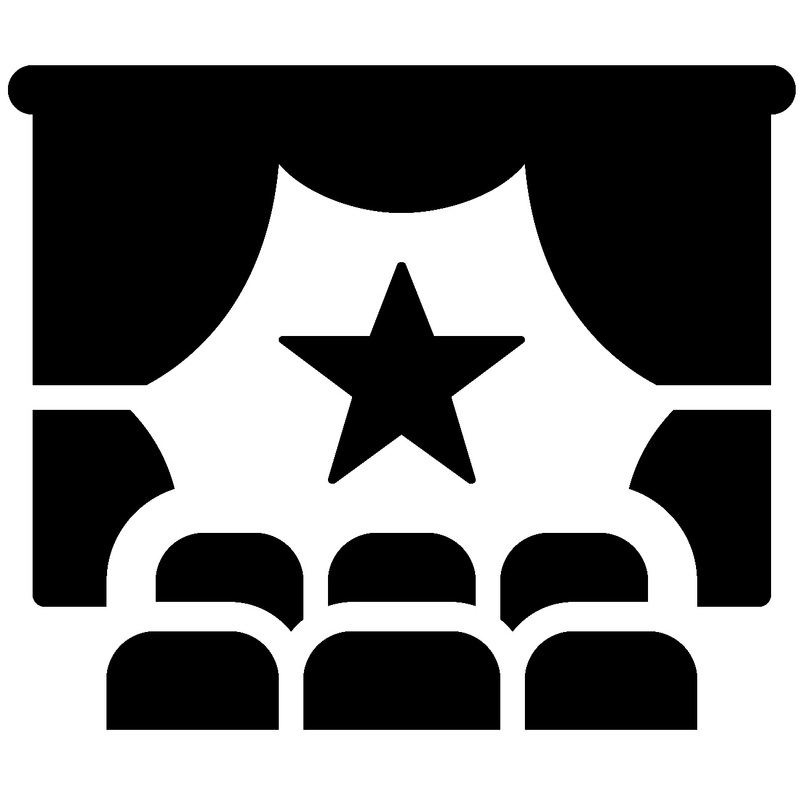 The Towaco Civic Association presents a Barn Theatre performance of “Comedy of Tenors.” The reception begins at 7 p.m. and the show starts at 8 p.m. 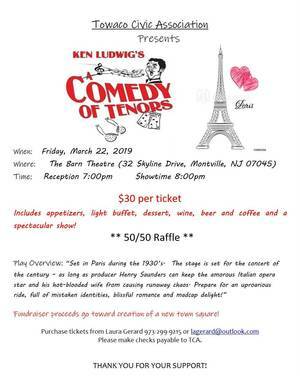 Your $30 ticket includes appetizers, a light buffet, dessert, wine, beer, coffee, and a spectacular show! 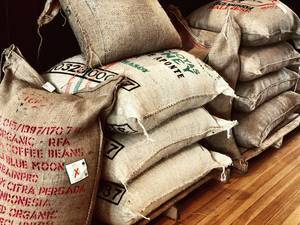 Boonton Coffee Co. is turning three years old! 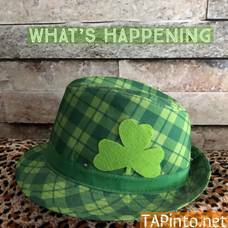 We hope you can join us (Saturday March 23rd) for our customer appreciation party between the hours of 7:30 a.m. and 9 p.m. We will be offering free donuts (while supplies last), live music, giveaways and discounts of Boonton Coffee merchandise. WEEKSTOWN, N.J. — South Jersey Horse Rescue is a non-profit horse rescue and rehabilitation facility. The rescue is entirely volunteer run. NEWTON, N.J. — Rivers Edge Horse Rescue is looking for help on and off the farm. The rescue is located at 104 Halsey Road in Newton, N.J.
On the farm help is needed cleaning stalls, feeding and helping with the rehabilitation of the sanctuary horses. 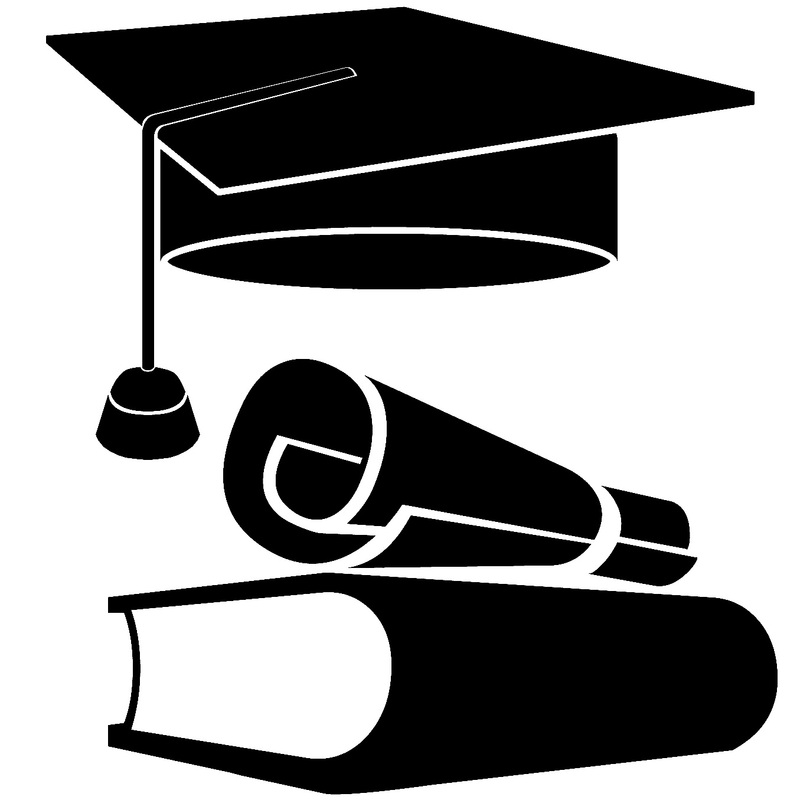 Less physically demanding help is need in the office with administrative and clerical work. BANGOR, Pa. — Each year, thousands of volunteers in New Jersey, New York and Pennsylvania donate their time and energy to make their communities a better place to live. These volunteers will be among the millions across the nation who will be spotlighted during Points Of Light's National Volunteer Week, April 7 to 13. BASKING RIDGE, N.J. — Somerset County Park Commission Lord Stirling Stable is offering a basic Horse Care Workshop 101 for adults and youth seeking to gain experience and confidence around horses through a combination of non-riding activities and hands-on practice. Information on the following events may be obtained by calling Lord Stirling Stable at 908-722-1200, ext. 5010 or at www.somersetcountyparks.org. CREAM RIDGE, N.J. — The Standardbred Retirement Foundation's (SRF) annual online auction of fabulous items is scheduled for May 28 to June 4. CREAM RIDGE, N.J. — The Standardbred Retirement Foundation (SRF) will host a Meet and Greet on Saturday, May 18, from 3 to 5 p.m. at the farm at 42 Arneytown-Hornerstown Rd., Cream Ridge, N.J.
Come meet the new foal born to a mare who was recently rescued by SRF. There will also be 65 adoptable horses ready to meet the public.